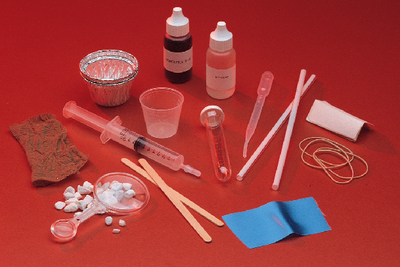 Environmental Test Kits help students gain a better awareness of environmental conditions in their area and in the world at large. How Clean Is the Water? tests for the presence of phosphates, pH, chlorides and lead. Experiments in How Clean Is the Air? include dust particle monitoring, deterioration of nylon, fabric fading due to oxides of nitrogen, and dissolving pollutants in rain water. Both kits include an instruction guide.